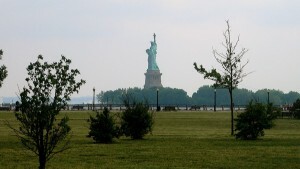 Liberty State Park is a green oasis in the middle of Metropolitan northern New Jersey. With the Manhattan skyline, the Statue of Liberty and Ellis Island as a spectacular backdrop, Liberty State Park is one of the state’s most dramatic parks. New York City is larger than life: in population, in square feet (think of the five boroughs), in culture and food, in arts and entertainment. Visitors to New York have the world at their fingertips, from Uptown to Downtown and beyond. There’s so much to do and see, no two visits will ever be quite the same. Whether it’s your first visit to the city or your fifteenth, these top things to do in New York capture the energy, spirit and style of the city. Why take the confusing subway or an expensive taxi to see Manhattan when you can do it in serious style? See New York City in a city slicker style with our private tour in a chauffeured limousine around the city.